Find ideas to start up a new business or career. Find something you love, join a home party business, start your own business or freelance. How can you start a successful freelance writing business? If you enjoy writing and are willing to create a viable business plan, you can get paid to write and live your dream. Do you enjoy baking and decorating cakes? It is a fun hobby that you could easily turn into a "sweet" part or full-time business if you wish. Are you into health and fitness? Do you feel a personal mission to help others be healthier and in shape? Do you love the idea of your work uniform including shorts, t-shirts, sweats and sneakers? If so, you could start your own personal trainer business. Are you glued to the television watching decorating shows like Trading Spaces, Divine Design, Decorating Cents, Top Design or Design Star? Interior decorators are very hot right now. Could this be the biz for you? Do you have a thing for order and organization? Do you enjoy helping others? Do you like sorting, filing, cleaning, and devising systems to store and retrieve things? Do you like to see others succeed and more easily achieve their goals? Then, perhaps you can become a professional organizer. This time of year, many parents struggle to find appropriate before and after-school care. Why not provide it for them and start your own home-based business? Creating customized candy wrappers is a popular home-based business option. This business is fairly easy to start if you have a good color printer and basic computer skills. Unleash your inner Martha Stewart by starting your own catering business. Yes, the lifestyle guru to millions started in catering. Read this article for tips on how you can start your own catering business. How do you pick a company to represent? What is available and how can you research the companies and your options before you buy? Many women worry about starting a home party plan business. Perhaps they worry there aren't enough choices or that they have to focus on recruiting reps. The truth is a home party plan is what you make it and you can find a company to fit your needs. You can earn extra money for the holidays by making and selling gift baskets! Read this article for how-to ideas and tips for getting started today! It’s hip to be green, finally. And, it can be profitable, too. More and more people are getting the message that we should all do a better job of managing the earth’s resources and that means larger and expanding markets for a multitude of earth-friendly businesses. What is an eBay Trading Assistant? What do they do? How do you get started? It is best to investigate any home business opportunity, including home party direct sales. If you are having a hard time making a decision or you need to compare or find a new company Npros.com might be able to help. Many people do make a great living by the “One man’s trash is another man’s treasure” philosophy. But how do you go about finding used things to sell? If you love all things food, check out these small business ideas. You can own a food-related business without the expense of opening a restaurant! If you love making gift baskets, here's how to turn that into a home-based business. The real estate market is in the dumps in most places right now. So, why on earth would one want to start a home staging business? Because the timing is perfect to start this hot, successful and fun business! Easier and more profitable than a full-fledged restaurant, a coffee shop can be a great way to experience the food and beverage business. Do you love flowers and have a creative flair for arranging them? Is your dream to be a florist and open your own flower shop? Read on to find out the scoop on this aromatic business. “One man’s trash is another man’s treasure” is doubly true if you are a thrift store owner! How can you open your own thrift store? Have you ever thought about owning your own restaurant? It's one of the first businesses many people think of opening. This article will give you inside info on what you need to know first. If you love weddings and can handle the occasional “bridezilla”, owning a bridal boutique could be just the business for you. Do you dream of owning your own bed and breakfast? Read here to find out how. Need extra cash this holiday season or do you just want to dip your toes in the “own-your-own-business” pool? 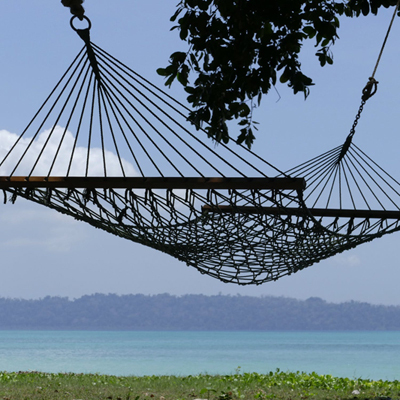 These three part-time holiday businesses are a great way to do both. What a party planner does and how to start your own party planning busienss. How do you research a home party business? What questions should you ask? How do you find out what you need to know? This article explores six growing business markets for small and home-based businesses in 2008. Six businesses you can start now to earn extra money or start an empire! You can start a cleaning business in just a matter of days if you are already a cleaning whiz, and be profitable almost immediately. This business has fairly low overhead and start-up costs which makes it a great one to sample for new entrepreneurs. Everyone needs a great resume and even more people are job hunting these days. Can you help people find better jobs by starting a resume writing business? Are you passionate about old things? Do you enjoy antiques and collectables? Are you able to build rapport with people and do you have good sales skills? Then, perhaps you could be an antiques dealer. How to start your own fashion boutique. If you love fashion, a boutique may be just the business for you. Do you want to own a business that allows you to be with your children? Do you enjoy being around children? Are you creative and nurturing? If so, owning a daycare business might be for you. Do you love spending time in the kitchen? If so, starting a personal chef business may be perfect for you. An interview with Michelle Varney, Scrapbooking Editor at Bellaonline.com, and owner of two scrapbooking businesses. What does it take to succeed in home party sales? What skills will help you achieve your goals? Hobbies can provide great marketing and networking opportunities for your small or home-based business. Plus, they can help you avoid burnout. Looking for a simple business idea for working from home? You can make and sell many things from home. Here are some ideas. Tips for turning your hobby into a profitable business. Looking for extra cash or wondering if your great new idea is a moneymaker? How about starting your own business on the weekends? Read my review of this new book and see if it can help you ease into being a business owner. Do you dream of working at home? Starting your own home-based business can help you lead the life you desire and today it‘s easier than ever. The Work at Home Business Ideas eBook has over 30 home-based business profiles to help you get started on your work from home dream. A virtual assistant is one who typically works from their own home, doing various clerical and administrative tasks for individuals and companies. Could this be the home-based business for you?